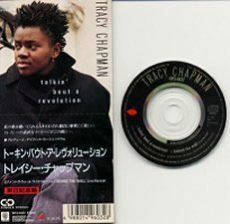 Tracy Chapman’s first album, also known as the “Debut Album” was released on April 5, 1988 and published by Elektra Records. The Album won the Best Contemporary Folk Album Grammy Awards and the Rock Album 1988 SKC Boston Music Awards. 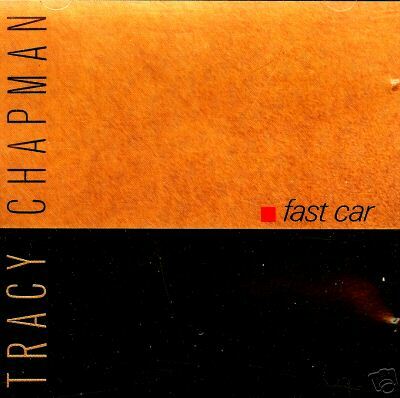 The Single “Fast Car” won the Best Female Pop Vocal Performance Grammy Awards. 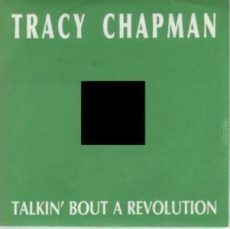 The Single “Talkin’Bout A Revolution” won the Top song 1988 SKC Boston Music Awards. 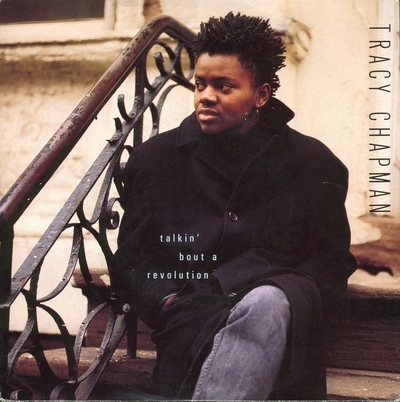 Tracy Chapman won the Best New Artist Annual Grammy Awards. This album is dedicated to Aneta. Thanks to my Mother, Rev. Tate, Jackie Green, Mark Fisher, Brian Koppleman, Charles Koppleman, Bob Krasnow, and everyone at SBK and Elektra. Produced by David Kershenbaum for SBK Record Productions Inc. 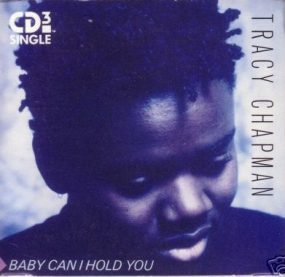 This album was made for the right reasons,” says David Kershenbaum, who produced Tracy Chapman’s debut album. 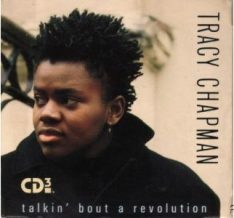 “There was a set of ideas that we wanted to communicate, and we felt if we were truthful and loyal to those ideas, then people would pick up on the emotion and the lyrical content that was there.” The stark realism of Chapman’s songwriting, combined with her warm, richly textured vocals, brought a refreshing integrity to the airwaves. 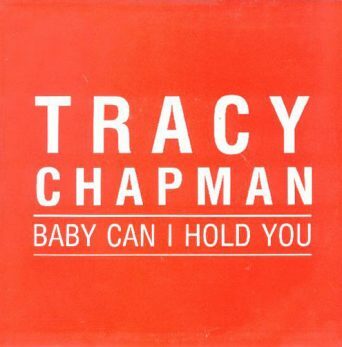 Koppelman approached Chapman after the performance and said, “I don’t normally do this, but I think my father could help you a lot.” (Charles Koppelman, his father, was then co-owner of SBK Publishing, one of the largest independent song publishers in the world.) Chapman listened politely but didn’t say much and went on her way. Undaunted, Koppelman continued attending her shows, sitting in the front row. Although Chapman finally agreed to talk, she declined to cut any demos for him. Then Koppelman found out that Chapman had already recorded some demos at the Tufts radio station, WMFO, for copyright purposes. (In exchange, the station got to broadcast her songs.) Koppelman went to the station, and while a friend distracted the DJ, he lifted one of the tapes. It had one song, “Talkin’ Bout a Revolution,” on it. He made a copy and took it to his father. “He immediately got the picture and flew up to see her,” Koppelman says. 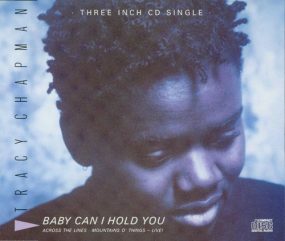 Tracy Chapman was recorded over an eight-week period at Powertrax, Kershenbaum’s Hollywood studio. As many as thirty different bass players and drummers were invited to come in to play with her. “Mountains o’ Things” was the hardest track to cut. 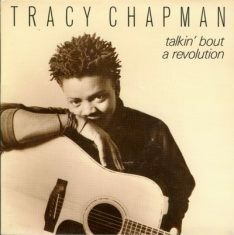 “Tracy was so used to just singing and playing that when she got into the slight rhythm changes a band might add, it was somewhat disorienting for her,” Kershenbaum says. “We had [percussionist]Paulinho Da Costa in one day, and we tried it with just Tracy and him.” That wound up being the version used, with other instruments added later. In a similar way, “Behind the Wall” was recorded a cappella — and left as is. 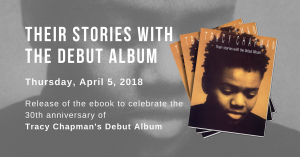 The album opens with “Talkin’ Bout a Revolution,” which is “a good introduction to who she is and what she’s saying,” says Kershenbaum. 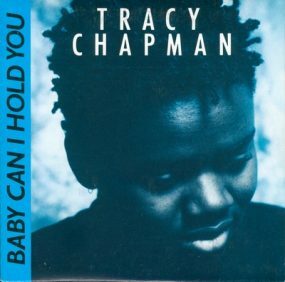 The running order of the other ten songs on Tracy Chapman was determined by writing song titles out on three-by-five cards and shuffling them around in different sequences.